Stella Inc. is pleased to offer an option to upgrade the acknowledged Graham’s PHANTOM Elite tonearm. This new titanium arm wand has been developed based on our accumulated experiences of engineering and technology on metal processing. It is perfectly compatible with the Phantom Elite 10 inch and offers a significant improvement of performance. In order to pick up the music signal embedded into the groove of a record, it is required to use a tonearm that can provide high rigid junction with the cartridge. However, any material with a higher rigidity than commonly used aluminum pipes tends to have a larger inertia because of a larger mass, consequently unstable results such as low frequency resonance. To solve this issue, the TDTW-01Ti employs pure titanium with special hardening treatment, which is light-weighted and highly rigid. Geographically this arm wand features a tapered tube that has a thinner end at the cartridge side and thicker at the tonearm pivot. This enables to have a small inertia mass while keeping a high rigidity as a whole. This solves the challenging conflict between inertia mass and rigidity. Also the arm tube is completely machined all in one to prevent joint loss and achieve even a higher rigidity. With this titanium wand your listening will be taken to a new dimension. You will be amazed with how deep the lower end can be, how smooth and soulful midrange can be, and how delicate and open treble can be. Enjoy an unparalleled music experience you haven’t had. It will convey all the emotion music carries to the fullest. - The finger lift on the head shell can be easily removed by yourself if unnecessary. Two different sub-weights come with this arm wand so that you can mount the appropriate one for the cartridge you use on the rear of the tonearm if necessary. The THALES SIMPLICITY II sets the benchmark for what is possible in tonearm-design today. The tracking geometry is based on a unique tetragon solution that reduces the tracking-error to 0,006°. Our new TTF-bearing-technology makes sure the performance achieves a level never reached before, as the micro-ball-bearings are arranged in a tension-free setup. 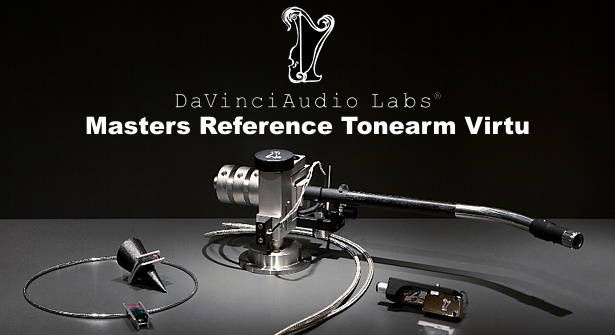 The intrinsic frequencies of the two tonearm tubes are carefully tuned to improve on the damping properties of any single arm tube design. The Easy tonearm is named, as it is an easy way to enter the world of perfect analogue tracking. The design of the Easy tonearm enables a variable offset angle and this is based on a newly developed and highly innovative geometry. Spectacular and extravagant, brings breathtaking unheard details! Experience this world class tone arm, we are sure that you will listen more details and clearness on your LP's, that you never heard before!